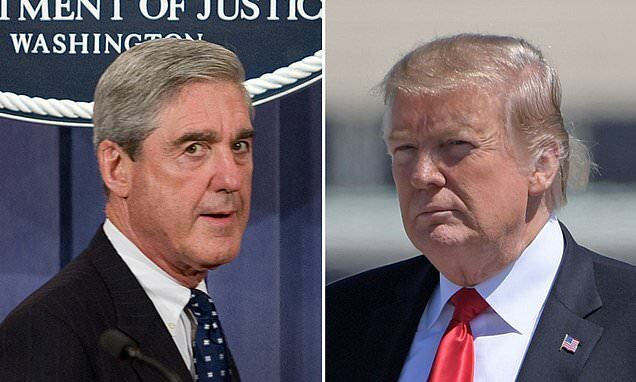 On the night that special counsel Robert Mueller delivered his final report from his investigation into Russian interference in the 2016 presidential election to Attorney General William Barr, President Donald Trump's closest advisers called it a win. Mueller has not recommended any new criminal indictments at this time, according to a senior Justice Department official, deflating what some Democrats hoped would be a bad-news day for the White House. Barr indicated it was possible that key members of Congress could know the report's bottom line by the end of the weekend. 'This is a grand slam for President Trump,' Joe diGenova, a former U.S. attorney who has advised Trump on the probe, said. Even with all the apparent joy over recent developments, Giuliani also said on Friday that Trump's legal team would like to see the report before any portions of it are made public, while members of Congress have urged Barr not to allow it. If there are no more indictments filed with federal courts, that means the president, his inner circle of present and former confidants and his family members are out of immediate legal jeopardy. 'This marks the end of the Russia investigation. We await a disclosure of the facts,” Giuliania said. Did Jesus Really Descend to ****? In the Apostles' Creed, there is a statement about Jesus descending into hell. These $65 Earbuds Offer 50 Hours of True Wireless Audio The idea of upgrading to true wireless earbuds is always tempting.